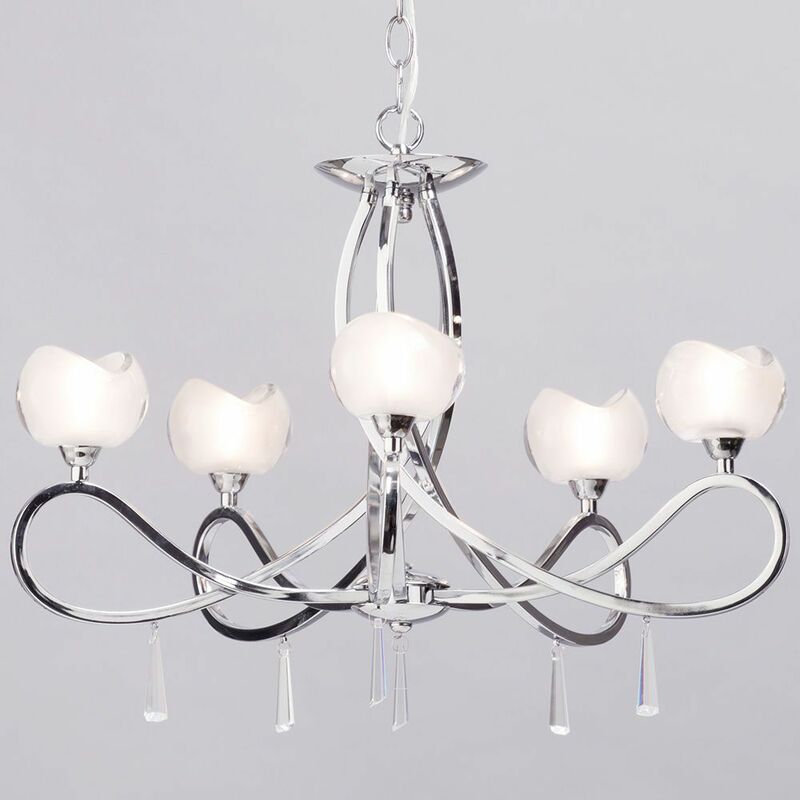 The Marta ceiling light features a beautiful scrolled frame and is crafted in pristine polished chrome for a contemporary look. 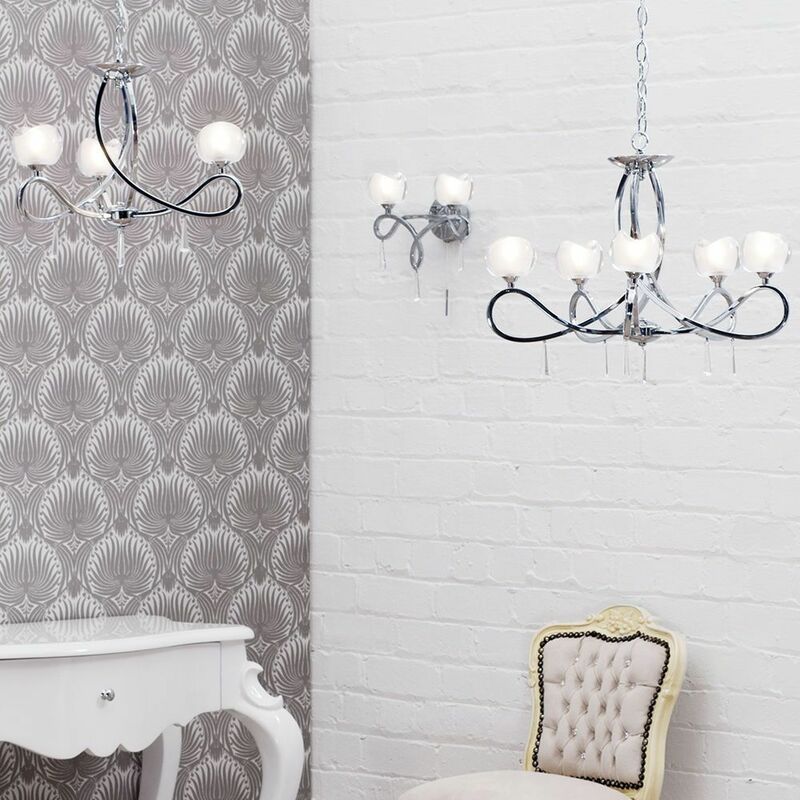 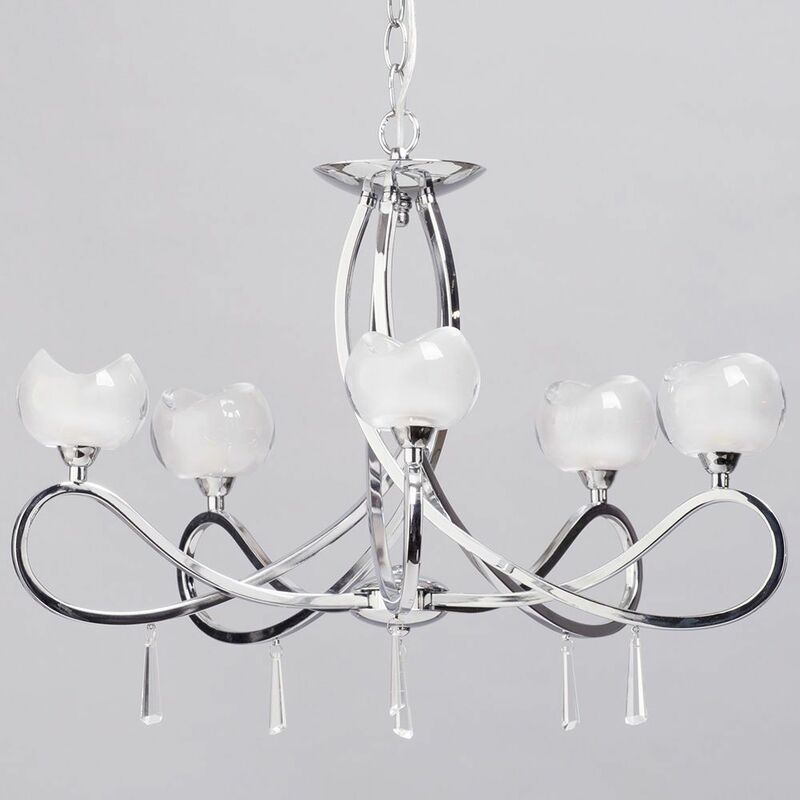 Each of the five curved arms is topped with an opal glass shade with a simple hanging crystal effect pendant for an extra touch of elegance. 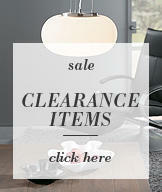 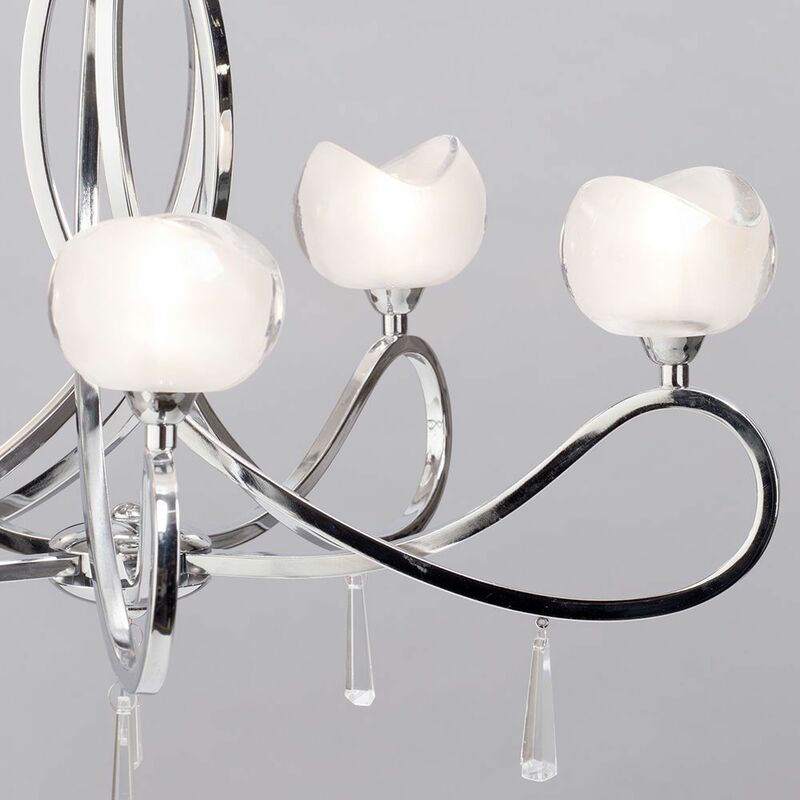 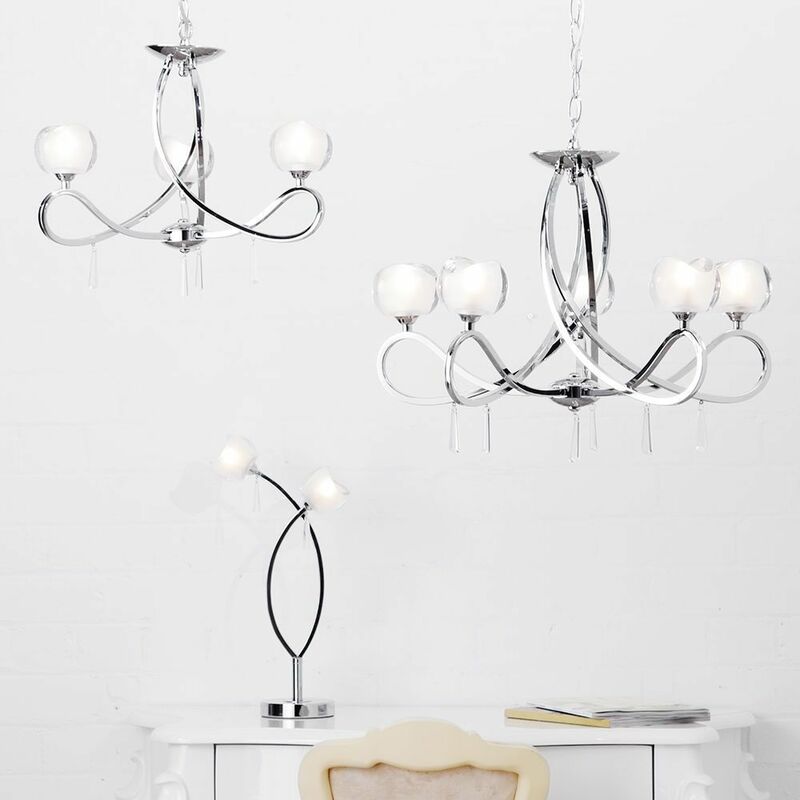 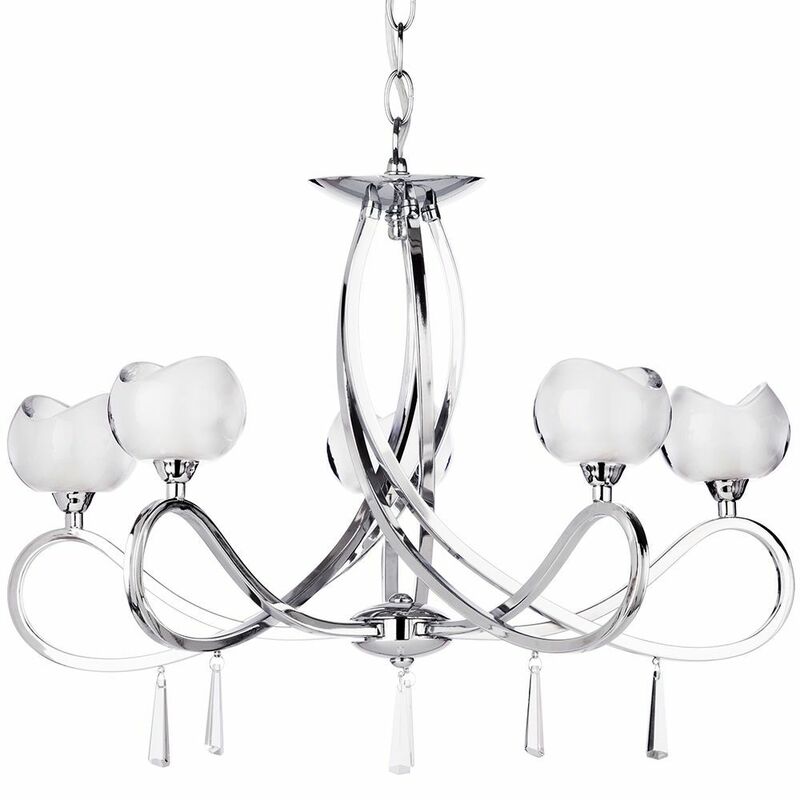 This stunning chrome ceiling light is perfect for living rooms, dining rooms and bedrooms.